Undergraduate Penelope Faithfull describes how she and fellow-student George Upfield are using radio to bring the ancient world to a wider audience within the University. Salvete (Or shall we say chairete?)! Over the Christmas Holidays, I thought it would be fun to do a Classics themed radio show on the University’s radio station, Junction11. The show, called Viva!, aims to help promote Classics (hence the title) – and to prove that, although the inhabitants of the ancient world are no longer around, they’re still just as fun and fascinating! Whilst trying to cater for a wide range of song and musical tastes, a diverse range of features and topics each week are included with a Classics theme. Special features include: songs with a Classics reference, recent Classics related news items for discussion and also a Classics ‘word of the week’ spot. I am really trying to encourage audience participation by discussing topics or questions from listeners. I would very much like to have a guest spot for lecturers to come on the show to talk about their research, to describe how they were introduced to Classics, to choose a song, and there may also be a surprise question for them each week…! So if any lecturers would be happy to come on the show, then please get in touch through the email below. If anyone has any questions they want answered, or would like to hear more about the show, please don’t hesitate to get in contact at p.f.e.faithfull@student.reading.ac.uk. Welcome to ‘Viva!’ hosted by Penelope Faithfull and co-host George Upfield. Tune in on Thursdays between 10-11 am on Junction11 to hear more; the link for the show is here: https://www.junction11radio.co.uk/listen-live/. We hope you enjoy listening! This year’s edition of the Reading Ancient Schoolroom ran for two weeks and welcomed several hundred schoolchildren to campus. 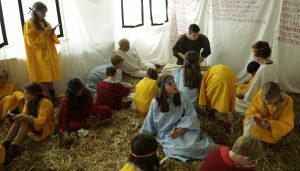 Led by a team of specially-trained volunteers, some of them Reading students and others coming from as far away as Edinburgh to participate, the children experienced first hand what life was like in a Roman school. 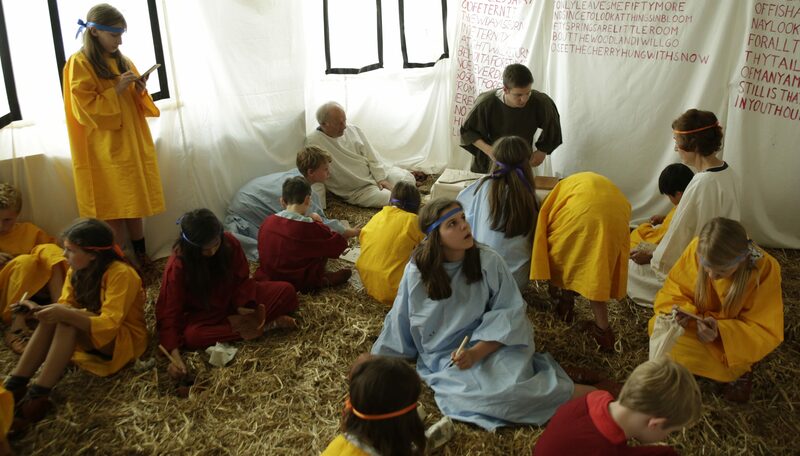 This year there was a focus on Roman mathematics (pictured above: maths teacher Dom O’Reilly with children from Dolphin School), but children also practiced reading from papyri, writing on ostraca and tablets, using quill pens, memorizing poetry, and studying Latin and Greek the way ancient children would have studied them. They also had the opportunity to sample Roman food made by our magnificent Roman cook, Reading undergraduate Charlotte Edwards, and special object handling sessions in the Ure Museum. For more information (and lots more pictures) see https://readingancientschoolroom.com/2017-schoolroom/. Schoolroom director Professor Eleanor Dickey was interviewed about the event on UKEd chat; you can listen to the interview at https://ukedchat.com/2017/07/17/ukedpodcast-episode-12/. Postgraduate workshop on the theme of interaction in imperial Greek literature, to be held at the University of Reading on Friday September 16, 2016. When we think of imperial Greek literature, we tend to think of creative and innovative authors, like Plutarch, Lucian, and Aelius Aristides, whose works draw deeply and (self-)consciously from the existing literary tradition, but also frequently subvert and play with readers’ expectations. Many of the works produced in Greek during the imperial period are difficult to categorise, at first glance seeming to participate in one genre, but upon closer examination engaged in a more intricate interplay of genres, styles, and allusions. The theme of interaction is here interpreted broadly; we may think of interaction as encompassing processes of innovation, enrichment, influence, adaptation, or repurposing. In imperial Greek literature, in particular, we may observe the interaction that occurs between genres, between fiction and non-fiction, prose and poetry, past and present, and between what is and is not considered ‘Greek’. While recent scholarship has emphasised the great variety and intensity of interaction that characterises imperial literature, much work is required to move away from pursuing authors and their works in isolation, towards a more universal approach. The aim of this workshop is, therefore, to foster dialogue between the different fields of imperial Greek literature (the novel, rhetoric, biography, historiography, etc. ), in order to reach new and more nuanced conclusions. Speakers will address wider issues concerning imperial authors’ engagement with earlier established genres and texts, from archaic and classical lyric poetry to later Latin works. They will consider how authors viewed their own work and its place in the literary tradition, and the ways in which readers interpreted the fusions and tensions these works embody. Exploring these complex processes of (re-)invention and (re-)interpretation can open up new ways of understanding the literary polyphony of imperial culture. One of the anticipated outcomes of the workshop is the creation of an imperial Greek literature network for those working in the area, to be organised in the final group discussion of the day. The titles of the papers are included in the programme outlined below. Being a classics student you are really spoilt for choice when it comes to summer schools. There are opportunities to brush up on your ancient language skills through the various JACT summer schools (Bryanston, Durham and Wells) or others such as at University of Swansea, Kings College London, University College Cork, or if you just fancy a bit of Homer, the Homer summer school at University College London. If you would like to immerse yourself in the classical world, JACT offers a Classical Civilisation and Ancient History summer school at Repton or you could apply to attend the undergraduate summer schools at the British School at either Athens or Rome, spending 2-3 weeks abroad in the hands of experts. I had the privilege of attending the JACT Greek summer school at Bryanston and, thanks to the Department’s Wardman bursary, the British School at Rome undergraduate summer school in the summer of 2015. Bryanston, as the Greek summer school has become known, is an intense course. There were three hours of lessons a day (and as much work in between! ), an afternoon seminar, evening lecture and opportunities to participate in plays and music as well as excursions on days off. It may not seem like a jolly way to spend the holidays but the small class sizes and frequent grammar tests worked wonders for my ancient Greek. Also, I was able to appreciate far more elements of the language, with some of my favourite seminars and lectures being David Raeburn’s readings (in translation and then in Greek) and Philomen Probert’s lecture on the debate of Greek pronunciation. Every year they also put on a production of a comedy (in translation) and tragedy (in Greek). A little shy, I was able to take a non-speaking role in the tragedy, which was a roaring success. As it was in Greek, you got a feel for how musical the performance of ancient plays would have been, with the chorus chanting to the beat of a drum. Bryanston’s comedies are always experimental and you can see how someone can play with ancient productions to pitch them to a modern audience (and see a few cameos played by renowned lecturers, which is always fun). The British School at Rome undergraduate summer school was an immeasurably enjoyable and rewarding experience. Every day we explored a new theme (leisure and entertainment, death and burial, etc) through the sites and museums of Rome. We had the incredible guides of Robert Coates-Stephens, the Cary fellow at the school, and Ed Bispham, lecturer in Ancient History at Brasenose College, Oxford. In addition, the British School was able to obtain privileged access into sites normally not accessible to the general public. Highlights for me include going inside the Mausoleum of Augustus and into the substructure and top floors of the Colosseum. Having been focused strongly on just literature during my degree, I was able to better understand the use of archaeology in the study of ancient history while still using texts to bring sites to life. These experiences were invaluable and I am extremely grateful to the Classics Department for the generous Wardman bursary which allowed me to go to the British School at Rome. This autumn Lisbon was host to the 18th biennial meeting of the Fish Remains Working Group (FRWG), a conference attracting historians, archaeologists and ichthyologists from across the globe, with a common passion for the study of fish and fishing. 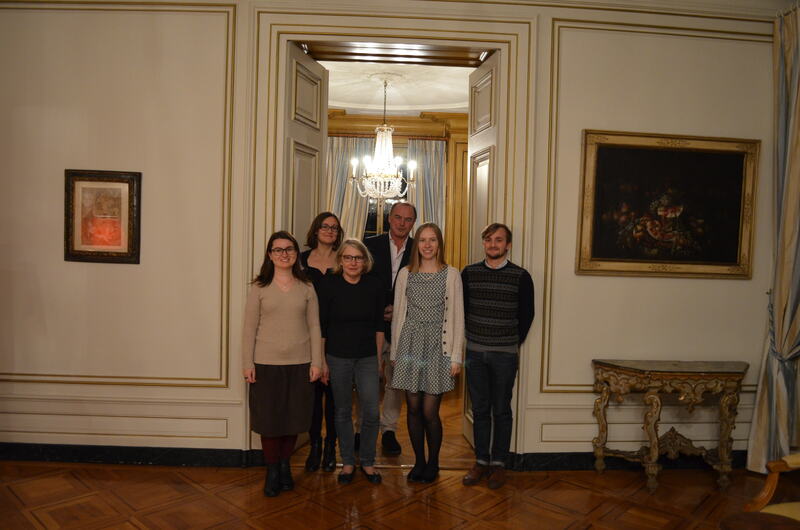 Following my successful application for the Alan Wardman Travel Award I was able to attend the conference and following field trips to several important sites in the districts of Lisbon and Setubal. The insight into ongoing studies of ancient fisheries, alongside the contacts made, have made this a fruitful and influential experience. The conference took place at the Lisbon Geographic Society over three days. There were nine diverse sessions promoting a rich interdisciplinary approach to the subject and therefore providing invaluable information on potential theories and approaches. Session Three: ‘Roman Fisheries and Fish Products’, highlighted the ongoing debates on the subject of Roman fish-processing. There continue to be various contrasting interpretations of the literary evidence, concerning the methods of salting fish for dried or sauce products. It seems the archaeological evidence from the Southern Iberian coast continues to be highly influenced by the classical authors and our interpretations of these texts. In addition to this debate, archaeological discoveries throughout Europe are revealing a complex structure of Roman fisheries with diverse approaches to the exploitation of freshwater and marine resources. I had a great opportunity to discuss this evidence further with current researchers and specialists in the field, while receiving invaluable feedback on my research. Several contacts were made with potential case studies for ongoing or future research. The field trip started at the port of Setubal with a boat journey on a seventy-year-old ‘galleon’, originally used to transport salt. Accompanied by curious dolphins, we followed the Sado estuary to where it meets the Atlantic Ocean and where the coastline is strewn with over two thousand years of manmade structures applied to the exploitation of marine resources. 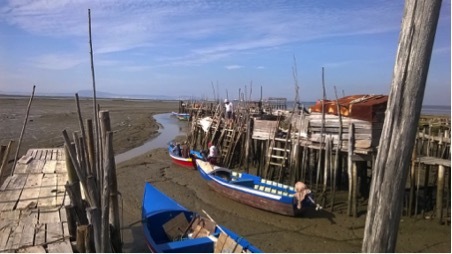 To date, many traditional fishing methods continue to be used, avoiding the influences of modern fisheries (the photograph above was taken at the quays of Carrasqueira, demonstrating the influence of the tidal estuary and the continuity of traditional fisheries). The following day we visited the site of ‘Alcacér do Sal’ (The Salt Fortress). For close to three thousand years this site has acted as an acropolis overlooking the Sado river and its vast fertile banks where endless fields of rice are now cultivated, but where once salt pans stretched as far as the eye could see. The use of this resource for the production of salted fish products at an industrial scale may have its origins in the Phoenician occupation of southern Iberia, reaching its zenith during the Roman Empire. Alcacer is now a hotel and museum encompassing the medieval nunnery, which subsequently encompasses a 13th century Moorish fortress, in turn built on Roman foundations. However, not all of the Roman sites in the region have such a complex stratigraphy. The following visit was to the Troia Peninsula, where one of the largest Roman fish processing sites has survived, buried under vast sand dunes. It is believed that fish sauce would have been produced at these workshops by mixing vast amounts of locally sourced fish with the salt being produced at Alcacer. The tanks vary in size, though the largest examples can reach 7 x 4 x 2m with a capacity of over 65m³. Twenty-five workshops (structures with one or more salting vats) have been identified at Troia, though much remains buried. 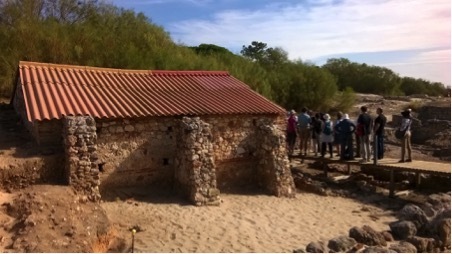 Future excavations may provide more evidence on the capture and processing of local marine resources (the image below is a southern view of Workshop 1 and the FRWG team). 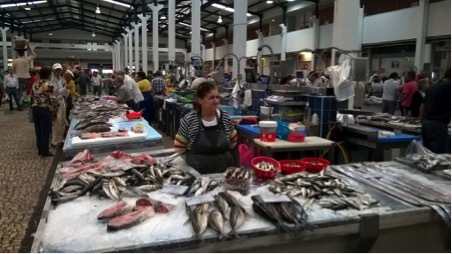 The final trip was to the ‘Merrcado do Livramento’, a local bazar rivaling the largest supermarket in Setubal. One third of the market was dedicated to selling fish, containing hundreds of species from diverse environments. From finger length anchovies to 2m long sword fish, the market provided us with fresh examples of the species identified in the archaeological record, as well as supper for the evening. 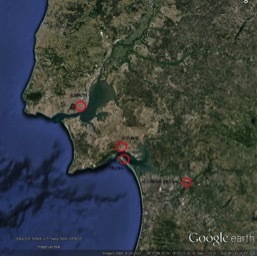 Though many countries contain archaeological examples of Roman fisheries, or are the subject of Roman literary texts on local fish consumption, Portugal provides a unique case study of a country which perpetuates the importance of local marine resources, as significant to the local economy and population today as it likely was two thousand years ago. The culture remains immersed and dependent on marine resources, combining ancient tradition with modern advances in a way that promotes the continued exploitation of local supplies, rather than their substitution for cheaper resources in international waters (as is the case in many European countries). It was therefore an ideal setting for the FRWG and an inspirational location for my research. I would like to thank our host, Sónia Gabriel and the rest of the organizing committee for such an incredible experience and enriching conference. I would also like to thank Professor Annalisa Marzano and the Classics department for their support in making this trip possible. Walking around the busy streets of Greece’s capital is an experience like no other. The saying ‘you can feel the history’ is thrown around a lot, but Athens’ majesty merits this description more than most. Imagine yourself standing in the midst of the busy morning in the gridlocked Omonoia Square, with the scents of every different spice creeping out from the covered market; you look down the busy Athinas Street, and see the Acropolis, the timeless symbol of Athens’ heritage, rising above the horizon. No matter how time, culture and society move on, Athens is a city that refuses to belong to a single era. Not only is this true today, but it has been for centuries. In early June, I set out to Athens, with the generous help of Reading Classics Department’s Austin Fund. I wanted to see Athens from the perspective of cultures interacting, assimilating and, perhaps, clashing. Specifically, I was interested in seeing how the culture of the early Christians found its place in the late antique city. Walking around the city today, the assimilation of the cultures is represented by the various Byzantine churches that hide around every corner. The unsung heroes of Athens’ legacy, these oft forgotten structures are a true reminder that Athens’ rich history did not end with the Romans. However, my main interest in this trip was to see how some of the most important structures of the Classical era were repurposed for Christian use. The re-use of earlier buildings was a practice that was widespread throughout the Empire; indeed, many of our best-preserved examples of Classical architecture owe their survival to their Christian conversion (for example, the Pantheon in Rome, the Maison Carrée in Lyon, and many of the temples that are scattered around Sicily). In particular, I was interested to see the Parthenon and the Acropolis from this context of ‘Christianisation’, along with the Library of Hadrian, in which were built several Churches, the first being a 4th-century ‘tetraconch’ church. Seeing this wonder of the Classical world from this new perspective was a truly great and useful experience; it reminds the viewer that the ‘Classical landscape’ played a defining role in making up the landscapes that would follow. 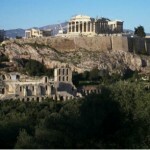 Athens as city moved on from its Classical heritage; however, reminders of this legacy were mainstays on the city’s landscape, spearheaded by the Parthenon and the Acropolis. Seeing the famous Byzantine Church of the Holy Apostles in the ancient agora was an equally memorable experience. I was particularly interested to see how this place of worship affected the landscape of the Classical space. Overlooking the agora is the much-copied Hephaiston, a staple of Athens’ pagan past; I wanted to see how the Christian structure contrasted with the agora’s non-Christian past, and I was not disappointed. I was delighted to discover that, in the 7th Century, the Hephaistion was, like the Parthenon, converted into a Christian church to St. George. It was thrilling to get to know the temple’s later history, and more thrilling still to consider its implications on the landscape. Seeing the physical indicators of the relationship between Christianity and pagan society was not the only outcome of the trip. Particularly memorable were the wonderful collections of the Benaki, Acropolis and Byzantine Museums; equally interesting were the other sites that the city boasts: the Kerameikos, the national gardens and the numerous churches. 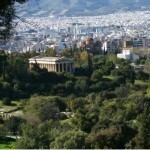 Experiencing the city’s culture was also a delight; walking the seemingly endless system of streets and side streets, stopping off for Greek coffee or souvlaki, being pestered by the various buskers on the Athenian metro and chatting with city dwellers all contribute to a truly memorable experience. As a Classics student, I have spent my entire degree reading about the majesty of the ancient city, but nothing is comparable to witnessing it first-hand on an independent trip. It is an experience that I hope all Classics students and enthusiasts can undertake at some point during their lives. I would like to extend my deepest thanks to Prof. Marzano and the department for making this trip possible. The Hardt Foundation for the Study of Classical Antiquity in Vandoeuvres near Geneva is well-known among classicists for their excellent library, annual research conferences organised by world-leading experts in their fields, and the Entretiens collection of volumes covering particular topics about the ancient world. But perhaps even more important is the peaceful and friendly environment that helps researchers to concentrate on their work. Last year, I was awarded The Hardt Foundation Research Scholarship for young researchers and had the opportunity to spend two weeks in the Foundation estate in Vandoeuvres enjoying the fresh mountain air and the beautiful lake Geneva views, and, of course, working hard. In particular, I was writing a chapter of my thesis on the representations of ritual space in Greek comedy. The final stage of work required a lot of attention and concentration to put all the material together and to provide the analysis with the conceptual framework. 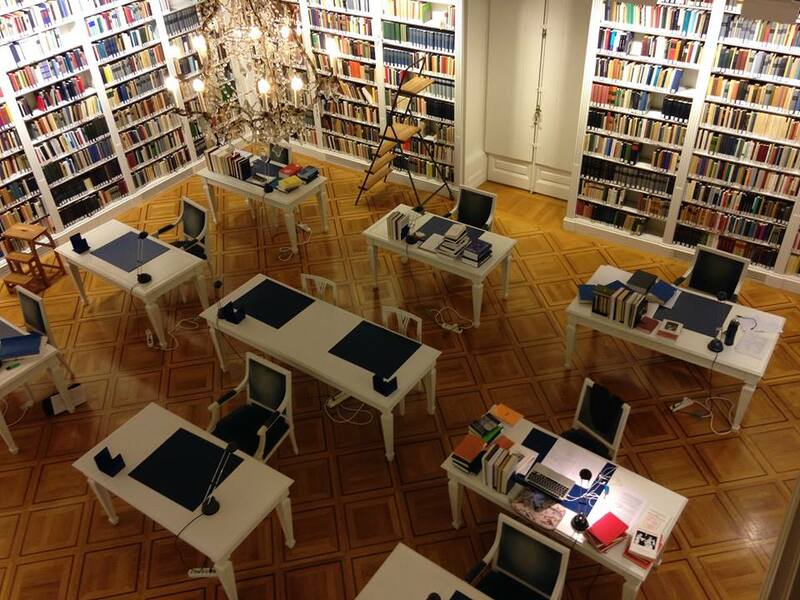 In that respect, I benefited a lot from my research stay at the Foundation library. I had a chance to consult all necessary commentaries and editions of Greek authors as well as secondary literature on my subject which proved to be – together with a truly productive lifestyle – particularly fruitful for writing up the piece. I also prepared for publication a research output related to the topic of space in Greek comedy. This was a paper `Performing sacred landscape: worship and praise of land in Greek drama’ for an Oxbow volume of collected papers. 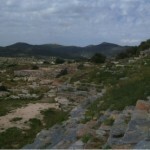 In this article I consider direct addresses to land and landscape in Greek tragedies and comedies in the context of the Greek lyric tradition of cultic hymns. I study the function of these addresses within the dramatic plays and I discuss their role in constructing the identity of the audience through investing spaces with religious meanings. I found the Hardt Foundation ideal for writing and thinking about my current work. At the same time it was great pleasure to meet other researchers and PhD students from all over Europe, as well as the director of the Foundation, ancient Greek historian and archaeologist Pierre Ducrey, the scientific secretary Gary and the maître d‘hôtel Heidi who prepared delightful meals that brought everyone together to share and discuss inspiring research ideas. In June Alex Keane, Karim Bhaluani and I attended a Minimus training day. For those who don’t know, Minimus is a book that brings the joy of Latin to the primary classroom. Karim and I have been lucky enough to be given the opportunity of teaching Minimus to a lively home schooled group, whereas Alex will be teaching in a local primary school next academic year. We were delighted to meet Barbara Bell and the team that created Minimus to learn not just how to teach it, but also the story behind it. It was truly inspirational to see how Barbara Bell, upon visiting the Roman site at Vindolanda, created the entire story around evidence found there. Listening to this creative process was a fantastic way to learn how to engage the pupils when going through the course and some of the thinking processes involved when attempting to reconstruct the past. We were also treated to an example of a very interactive first lesson, with emphasis on inclusion, pronunciation and drama. Going to Athens has been one of the highlights of my time so far at University. The trip combined academia and socialising to create a memorable and thoroughly enjoyable experience. One of the first things we did was dine in a local taverna in the evening. In doing so we experienced a slice of typical Greek life. The food throughout our brief time in Greece was always of a high quality, and I thoroughly enjoyed it. Of course not the entire trip was eating and relaxing, hard study and learning had to be done (as well as a fair amount of walking!). On day two we went to the Acropolis Museum. Being able to view Ancient Greek sculptures in person, after studying them for years, brought the whole thing to life. I was taken aback by the beauty of the caryatids. Later that day we went up Philopappou Hill, this optional climb was a must to see the incredible views of Athens. On Wednesday, day 3, the stand out activity was visiting the ancient site of the Acropolis. 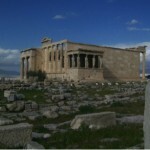 We got to see the Parthenon and the Erechtheion. The main reason I enjoyed this so much was because of my avid interest in Ancient Greek architecture, but I would challenge anyone not to be amazed by the sheer beauty of the temples here. The following day we went to Thorikos. By now you may be getting the impression that the trip consisted of a lot of climbing. Whilst it is true that we were active for a lot of our time in Greece the gains from these incredible views far surpassed the exhaustion of the excursion its self. 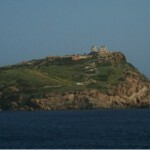 The second hill we visited that day, Sounion, was much smaller. More importantly it is the site of Poseidon’s Temple, as well as having incredible views of the sea. This temple for me was the most aesthetically pleasing, and the fact that it was situated close to ground level was appreciated by my tired legs. On our final full day in the afternoon we got a hands on session in the museum at the British School of Athens. Mr Robert Pitt, the director, allowed us to handle some of the artefacts in their sublime collection. On our last evening we had a group meal where we reflected on the incredible experiences we had shared throughout this trip. My thoughts on the final day as we travelled home were positive for my whole time in Athens. I made lots of new friends on my course as well as getting closer to those I already had. Whilst my legs do not miss the walking, I certainly miss Athens! Former Reading doctoral student, Dr. Laura Robson, who obtained her PhD in 2013, has been awarded a prestigious Helfand Fellowship in the History of Medicine and Public Health at the New York Academy of Medicine. Laura, who was also an undergraduate in Classics at Reading, will spend a month in New York exploring how sixteenth-century medical works used images and texts from Andreas Vesalius’ anatomical treatise, the Fabrica. She will use Geminus’s Compendiosa (1545) and Raynalde’s translation of The byrth of mankynde (1545) to demonstrate the complex relationship between anatomical image and text and to unite the history of the book with the history of the representation of the body.